Notes: NSFW. No installer - just unzip and run. Had to rename folder to something non-jibberish and also use AppLocale to get to start without crashing. No video capture possible - probably not using DirectX...? 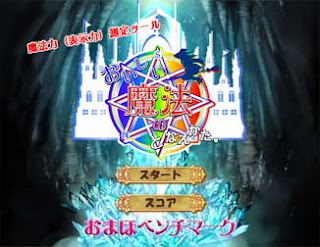 Omaho Bench is a benchmark for Oishii Mahou no Tonaekata, a 18+ visual novel game. The benchmark shows off some of the game's explicit 2D artwork, with explicit sound effects to match. Visuals, sound and fast editing make for sensory overload, even if you know what to expect. Short running time. Some may find this benchmark offensive and/or perverted. Not recommended.